It's December! Wow...already having trouble catching my breath, thinking about what I want to do in 24 short days and still be able to slow down and enjoy the season. First of all, remember this picture? "My name is Danielle and the reason I am contacting you is because Marie Claire Magazine is publishing an article about the 11Eleven Project (www.11elevenproject.com). People worldwide participated in the largest collaborative storytelling event in human history...The 11Eleven Project is quintessentially “a day in the life of the world” told by the people of earth. 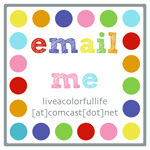 The reason I am contacting you is I have wonderful news; we would love to use your image to contribute to the article! " Eeek! She wanted my picture in the highest resolution possible. I sent her what I had. Not sure if the resolution will be good enough or not. But, wow. What a fun opportunity! Is it true things happen in threes? Then we still have one more thing to break. Our built-in microwave quit the other day. We have a small spare microwave that we used up at the rental cabins, but at least two times a day I go to the built-in, open the door, stare at a little bowl in there with some screws (for the faceframe--so we don't lose them), wonder why there is a bowl with screws in the microwave, and then remember, oh yeah, it's broken, and then walk over to the spare microwave. The other thing? The battery was so dead in my car yesterday that the remote portion of my key wouldn't work to unlock the door. This year, my dad has been making everyone in the family a pen and pencil set from wood for their birthday present. Seriously. He makes them on his lathe. I think I got the most beautiful set for my birthday. Thanks, Dad. My magnetic snowman always makes me smile. I leave him up through the end of January. Do you like Christmas music? I sure do. We have collected a lot of Christmas CDs over the years. We probably don't need another one. Especially one by Justin Bieber. But then I read this Associated Press review. "Parents are likely to buy Justin Bieber's Christmas album for their kids and pray that their young ones will only play it through their headphones. But the elders would be missing out...Even if you don't have kids, 'Under the Mistletoe' should be under your Christmas tree." And finally, just a little peak at the progress so far on Crazy Traditions. Half of the blocks are completed! Until January, things will be a little sporadic around here. The Name Game may or may not make an appearance, and the Farmer's Wife has said she is taking a break until after Christmas and I'm not arguing with her. I hope you take some random moments to savor the lights and music of the season. Where did you get the snowman on your fridge---just darling! Love everything in this post, well the lovely things! The pen/pencil sets are amazing (wow, what a talent! ), the snowman is oh-so-cute and your crazy tradition blocks are wonderful! Hope the third thing doesn't happen! Your dad's work is GOGEOUS!!!!! I am always amazed when I see woodwork like that. I'll pass on the JB music too. We love our Christmas CDs and have a collection similar to yours. Yes, the breaks do tend to come in threes. My last set of three was the vacuum, the washer and finally the hot water heater. What a disaster that was!!! I remember your snowman fridge from last year! So so cute! I want one! JUST SAY NO TO BIEBER!!! Wow, your picture in Marie Claire! That is seriously awesome! I hope they can use it. your photo in a magazine, awesome. My nephew and his wife had their second baby on 11/11/11 at 11:11 am. Should they submit their story? Ok Cindy that was so totally random I'm giggling here. My daughter makes me watch YouTube video's of Justin daily and she's so excited about his Christmas CD. Ugh. We made a mixed CD of our best holiday tunes as a Christmas card for all of our friends years ago. It took hour and hours to burn 115 CDs and cost us a fortune, but it is still our fav holiday listening. As soon as I start playing it, I feel very much in the holiday spirit....especially when I hear the Charlie Brown Christmas song. I agree with everyone else, I love your randomness. I think hubby will be getting a new car battery for Christmas, his is about kaput, I told him last night if I looked out and saw his car one morning I would know why. I LOVE the fridge snowman. How do you get the kids to leave it alone? The pen set is AMAZING!!!! Your dad does great work. I so love your randoms! Too young for Justin Beiber here, thank goodness! Sorry about all the breakdowns, hope the third thing, should it choose to happen, is very minor! Wow, you're famous! That's so cool! Congrats on the photo op! Love those beautiful pens your dad makes! You are such hoot!! I always smile on thursdays!! 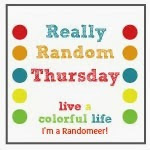 What a lot of fun "random"! I love the pictures, love the magnetic snowman (TOO CUTE), and I really LOVE the crazy traditions quilt blocks! My goodness...so much awesomeness in one post! Your snowman fridge decoration is quite possibly the cutest damn thing I've seen in a long time! Your dad does some amazing and intricate things with wood! VEry fun, Cindy. I have WAY too many Christmas songs (842 at last count on the iTunes list) but I must say don't have the power tools songs, nor the animals. Fun randomness today--love that Marie Claire picked up your photo!! Very very cool. Merry First Week of Christmas!! I first saw your snowman on Pinterest! SO cute!